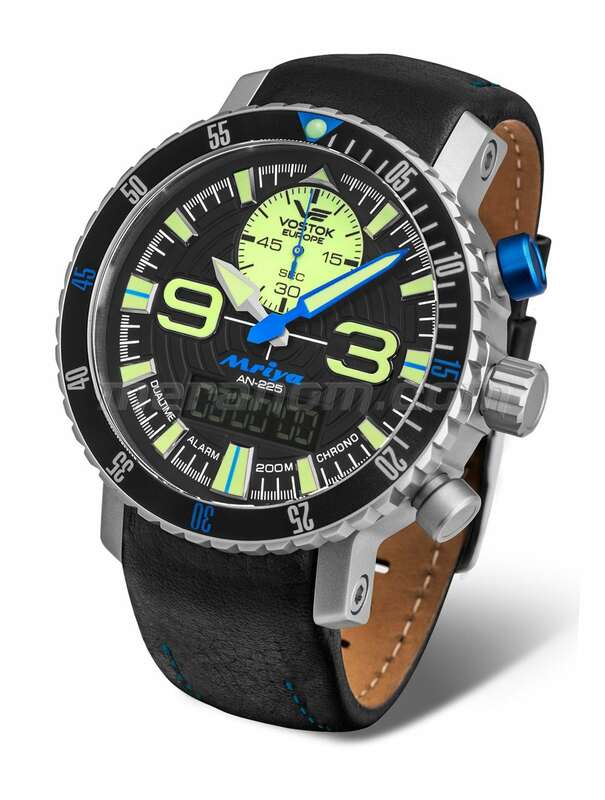 20 atm water-resistant 50 mm stainless steel watch case. Hour and minute hands synchronized with the digital display. Second indicator on the sub dial. Chronograph for up to 100 hours (with 1/100 sec. readout within the 1st hour). The whole watch set includes leather and silicon straps interchangeable by screw driver and packed into a shock-proof and water-resistant VE dry box.